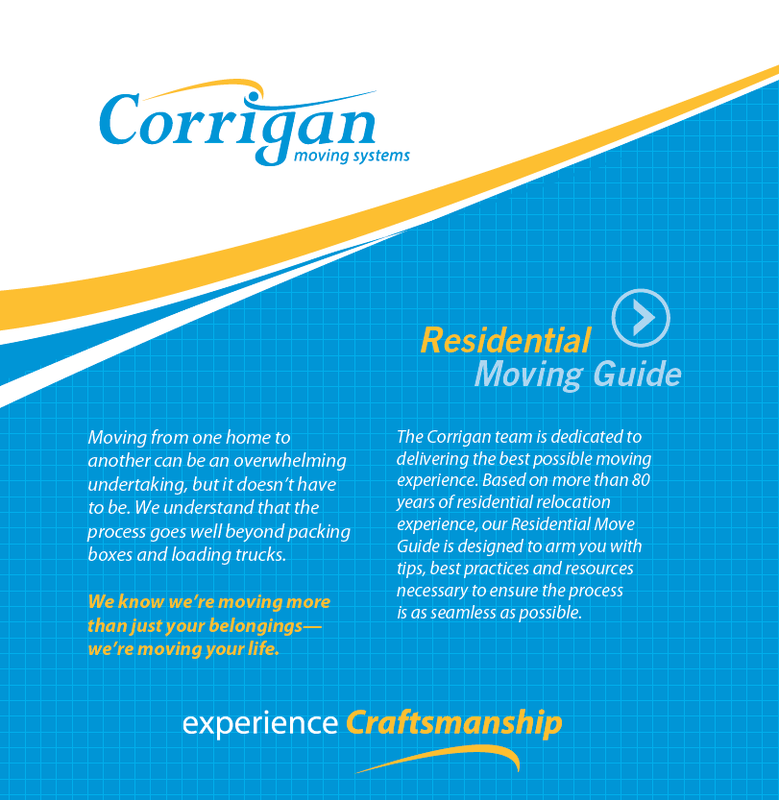 We’re dedicated to providing our customers with the best possible moving experience, and offering helpful resource documents is just one more way in which we can lighten the moving load. Below, you’ll find a collection of tools to equip you for any move. 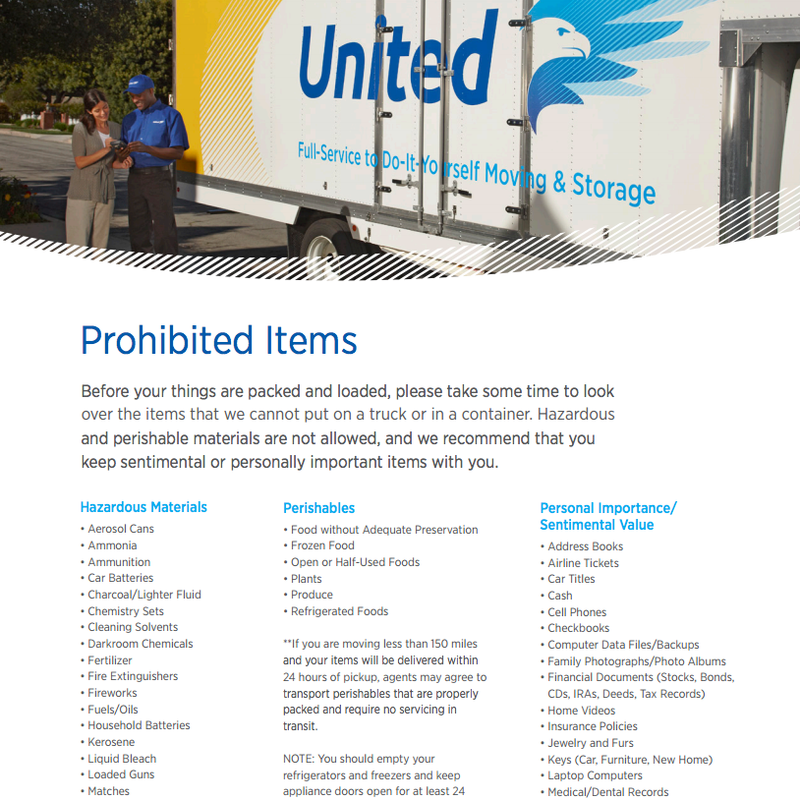 A helpful list of items that a professional mover cannot move such as perishable or hazardous materials and items that we should not move that may be of personal importance. Description of the various standard cartons, including size and general items best packed each carton. You can also find additional packing tips at our How to Pack webpage. 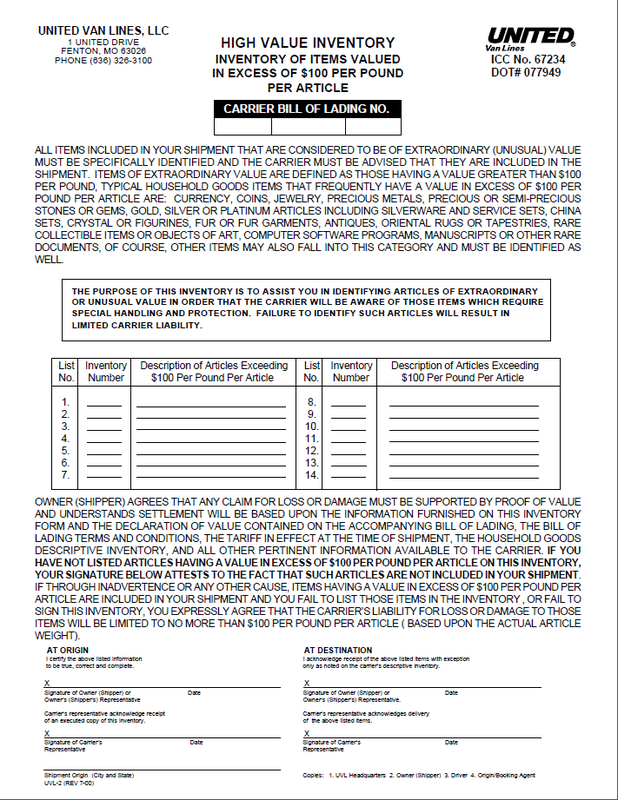 Use this form to list any high value belongings you are moving. A high value item is anything valued at over $100/pound. 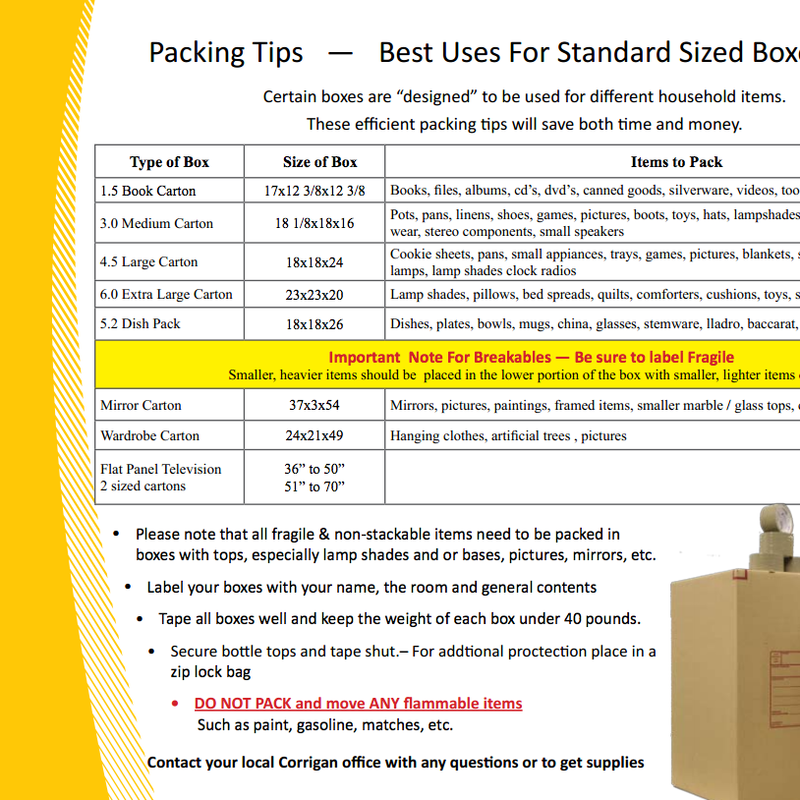 Be sure to show any high value items you packed yourself to your mover before sealing the cartons. 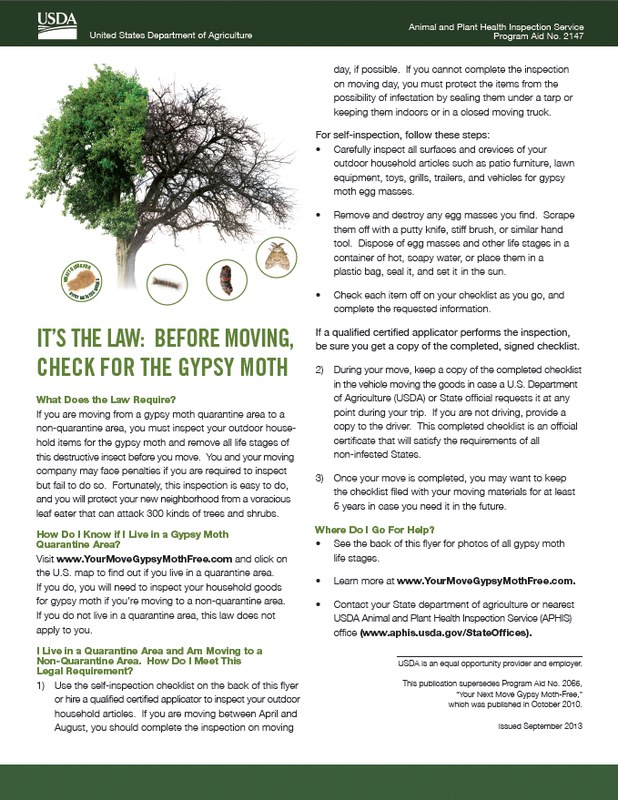 This useful brochure, provided by the US Department of Agriculture, teaches you all about Gypsy Moths – why they are a problem, how to detect them, and how to check your belongings for them before your move. 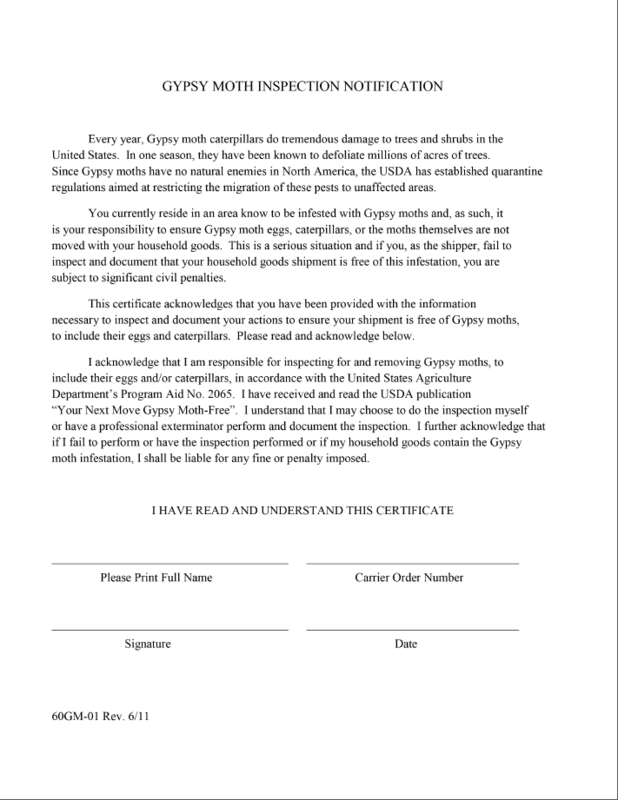 A form to sign before your move stating you have inspected your belongings, and you are not transporting any Gypsy moths, or their eggs. Please read the Gypsy moth brochure for more information. 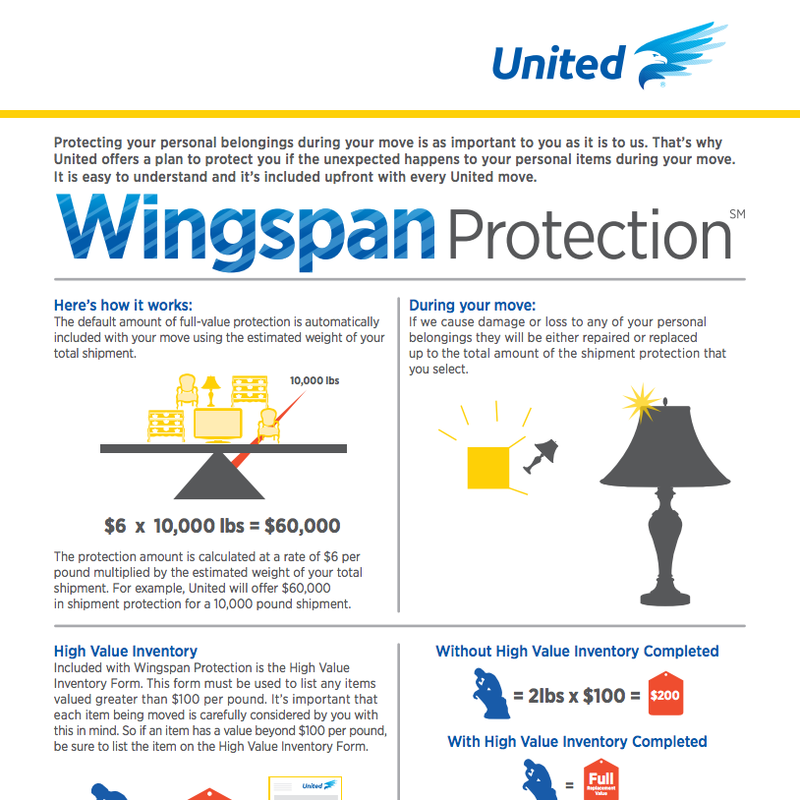 All of our interstate moves are quoted with Wingspan Protection. This coverage option protects you, should the unexpected happen to your personal items during your move. 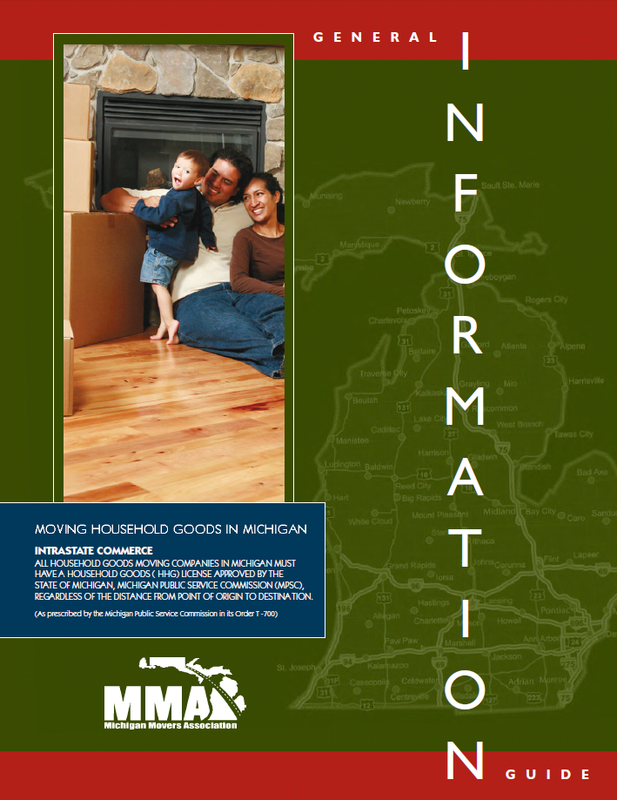 This moving guide, supplied by the Michigan Mover’s Association (MMA), provides information about the intrastate moving regulations within Michigan. Any move inside Michigan traveling over 40 miles is subject to the MI Intra tariff rates. 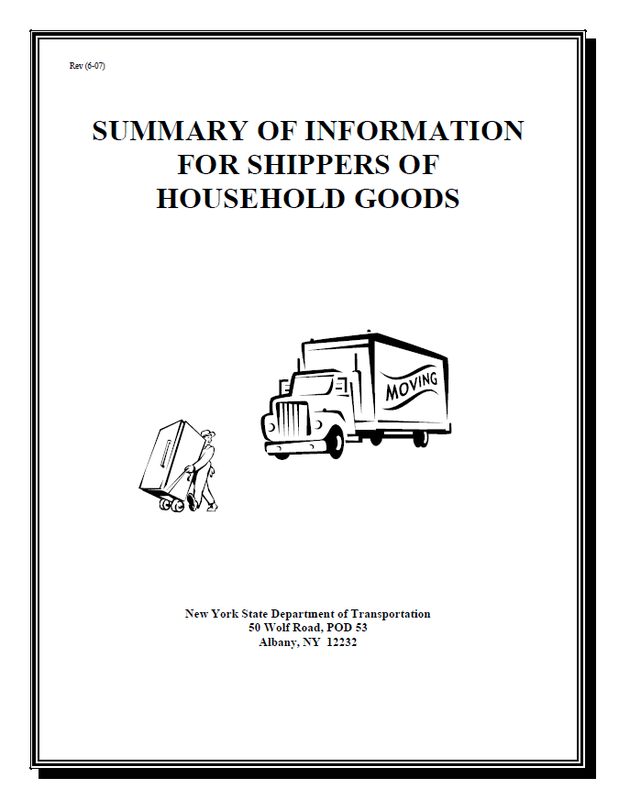 This guide provides residents of New York with a summary of information regarding household goods moves within the State of New York. 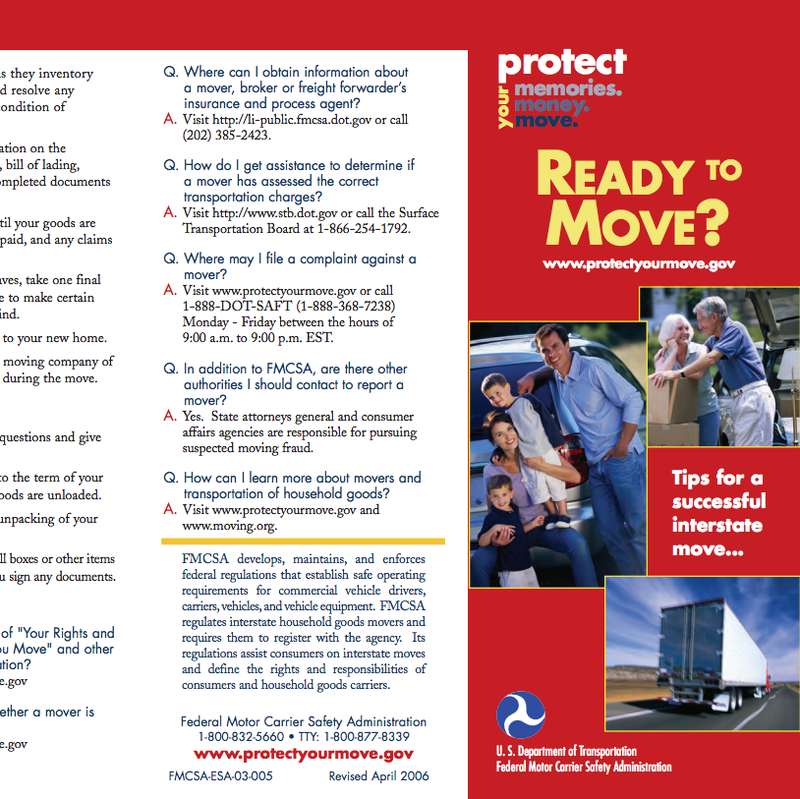 A booklet from the FMCSA providing basic information that will help you understand the documents that a mover will ask you to sign. It also explains your rights if your household goods are lost or damaged. A short pamphlet released by the Federal Motor Carrier Safety Administration (FMCSA) to help protect consumers from moving fraud. 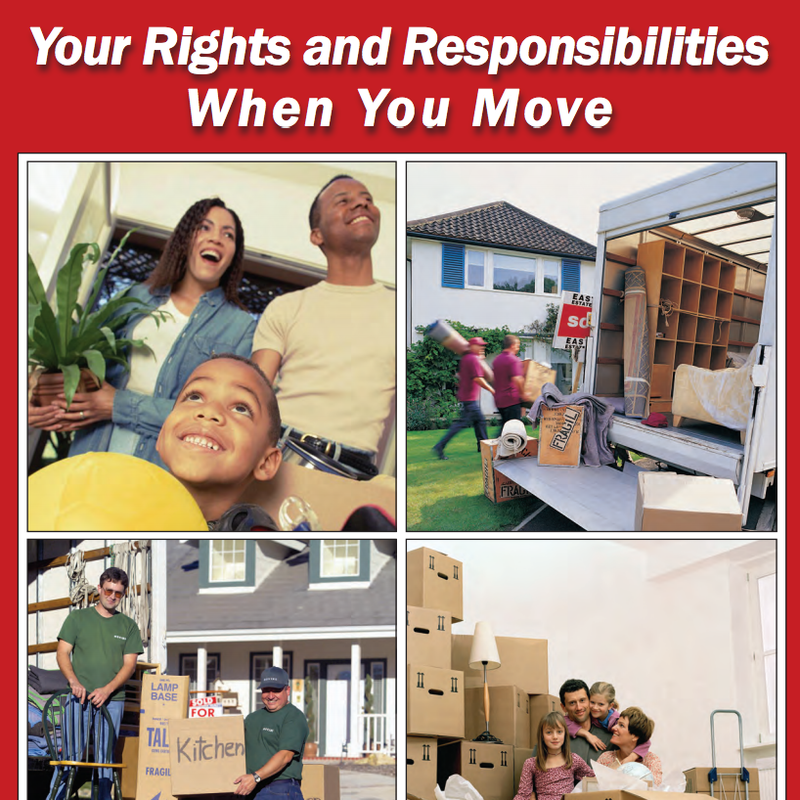 This useful guide is filled with tips & tricks to keep you on schedule for your upcoming move. 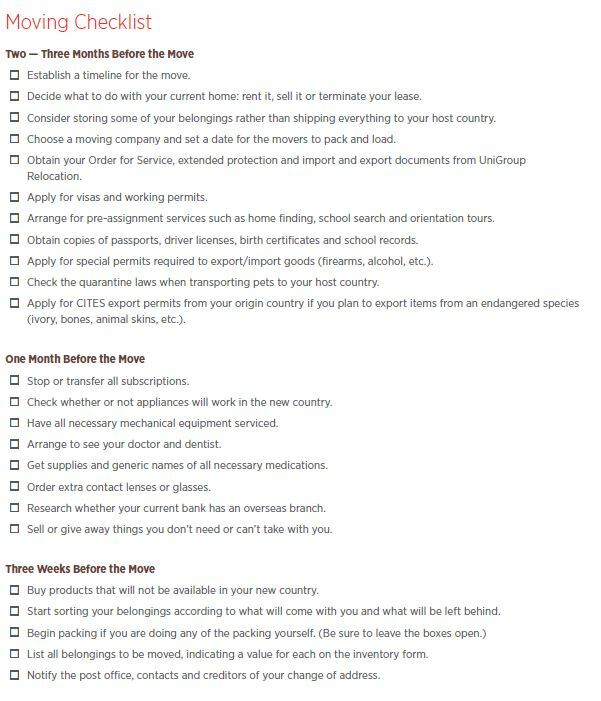 A handy checklist, starting from 2-3 months before your move, that will keep you on track for your international relocation.